Often the worst part of having a heating, A/C, or plumbing problem is NOT the problem itself. It’s waiting for a technician to arrive and then complete the job. 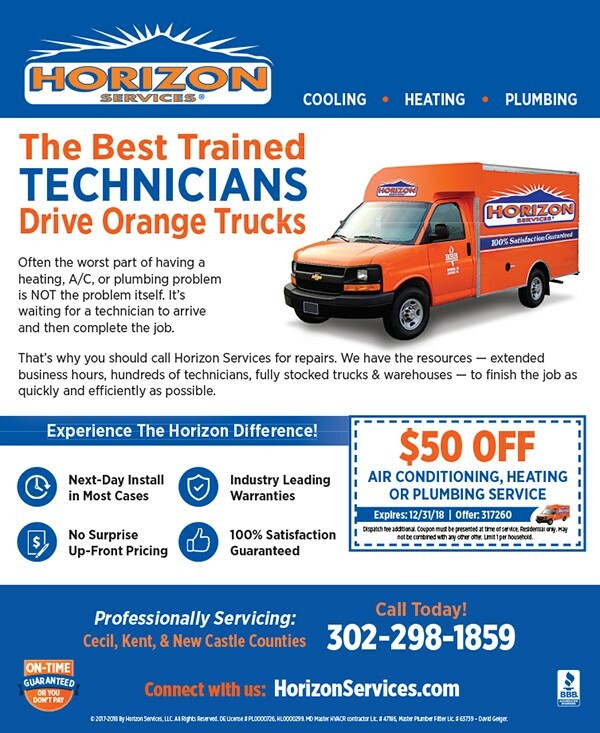 That’s why you should call Horizon Services for repairs. We have the resources — extended business hours, hundreds of technicians, fully stocked trucks & warehouses — to ﬁ nish the job as quickly and effi ciently as possible. Next Story → Destination . . . Willey Farms! – Shop Local!